Fusion Orchestra built a strong and dedicated following during the early 1970s – mostly thanks to the band's musicianship, ambitious musical works and exciting stage act. The fact that they toured constantly and gigged throughout the length and breadth of the country carried their music to a huge audience during the close to six years the band was together. 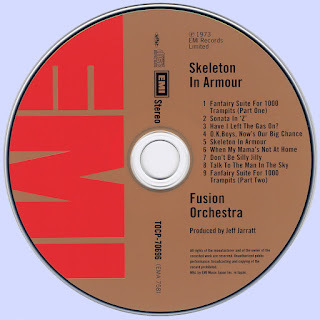 Fusion Orchestra was formed in 1969 by guitarists and lifelong friends Colin Dawson and Stan Land (who met on their very first day at infants school), together with Dave Bell, who had already been playing drums with Colin and Stan in a rock band which, at the time, was unnamed. The name Fusion Orchestra was eventually chosen to reflect the diverse styles woven into the band's music. Early performances featured original songs written by Stan Land and Colin Dawson. In the band's early days, vocal and bass duties were handled by another friend of Colin and Stan – Dave Wheeler, but other interests prevented him from joining the band on a permanent basis. Although the band played eight gigs with Dave Wheeler on bass, his situation meant the other members were constantly on the lookout for a replacement, which they found in November 1969 in the shape of Mick Sluman. Mick was singing and playing guitar with a local semi-pro band called This Was (a name unashamedly lifted from the title of Jethro Tull's debut album). The band was playing a support spot to Fusion Orchestra. Mick had a certain stage presence and Colin, Dave and Stan approached him after the gig to find out when and where his band rehearsed. A while later they turned up at a This Was rehearsal and, much to the disquiet of the other members, asked Mick if he wanted to join a good band – he'd have to take up bass guitar though. Mick thought about it for about 30 seconds. He joined and soon began to contribute to the band's material, helping to pen some early band numbers with Colin Dawson and Stan Land, including 'Winter Nights' and 'Outcast in Hell'. The band built up a strong following gigging around London and the South and, in June 1970, they were spotted by their manager-to-be Steve Parker while playing an open-air gig at Carshalton Carnival in South London. Fusion Orchestra had been booked as third on the bill but their performance stole the show and blew the other bands off stage. The band played at London's Marquee club in Wardour Street so regularly, it was almost a spiritual home. On Thursday 1 February 1973, they played to a packed house. Among the audience were representatives from record company EMI and music publisher Acuff-Rose. A storming performance led to the offer of a record deal with EMI for an album and single, and a publishing contract with Acuff-Rose Music. The band signed in March 1973 and later that year spent a month in the world-renowned Abbey Road Studio. 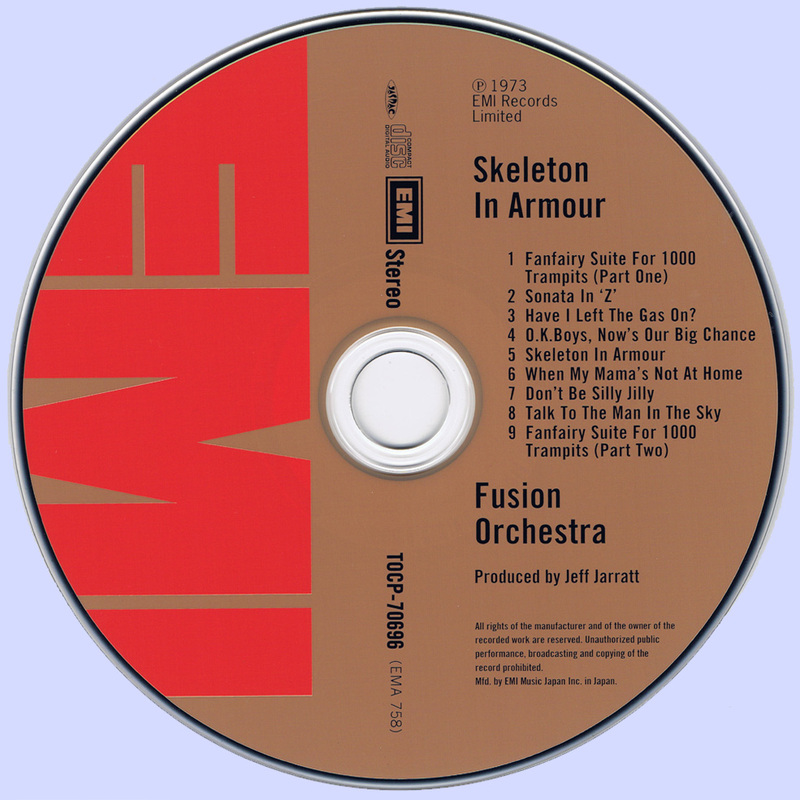 The resulting album, 'Skeleton in Armour', featured three main numbers from the band's stage performances: 'Sonata in Z', 'Have I Left The Gas On?' and 'Talk To The Man In The Sky'. The title track was work in progress at the beginning of the studio sessions. Dawson had written a theme and suggested chord sequences for a main verse. Jill Saward took these away and days later arrived at a recording session with the lyrics for 'Skeleton In Armour'. The song was immediately adopted as the album title track. Cowell added bass lines for the middle instrumental section, over which Saward played Hammond organ. 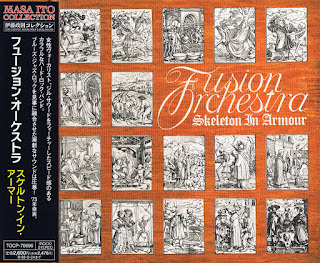 The album also reflected the sense of fun Fusion Orchestra demonstrated on stage. The Cowell-Land harmonica duet 'OK Boys, Now's Our Big Chance' and the slightly ludicrous 'Don't Be Silly, Jilly' were not to be taken seriously. The resulting album, although critically acclaimed by the music press, suffered from limited promotion. EMI's publicity amounted to one press release and two half-page advertisements in Melody Maker, plus one half-page in Sounds. There was no strong publicity machine behind the band and most album sales were achieved probably through the band's live work and their rigorous touring schedule. 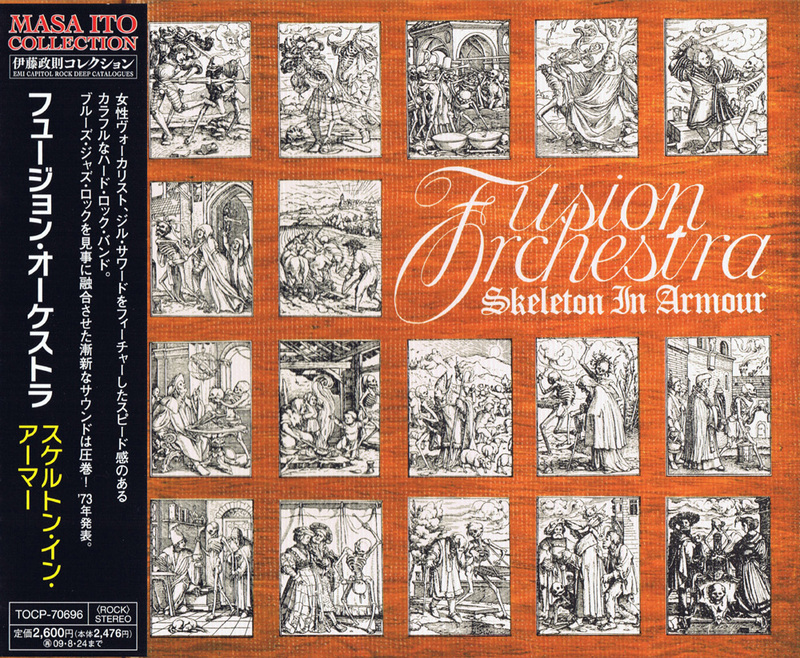 Between the recording of 'Skeleton In Armour' and its release in November 1973, Fusion Orchestra continued to gig solidly in Britain and also crossed the Channel to play gigs in Holland and Germany. At the Scheessel Rock Festival in northern Germany, headlined by legendary performers Chuck Berry and Jerry Lee Lewis and featuring many leading rock bands, Fusion Orchestra played to a 50,000-plus crowd. With a storming performance that included numbers from 'Skeleton In Armour', as well as feature spots for all band members, the audience wouldn't let the band go without an encore. Happy to oblige, the band had the balls to play their version of 'Whole Lotta Shakin' – a rock 'n' roll song made famous by none other than Jerry Lee himself. They never found out what he thought of their version.